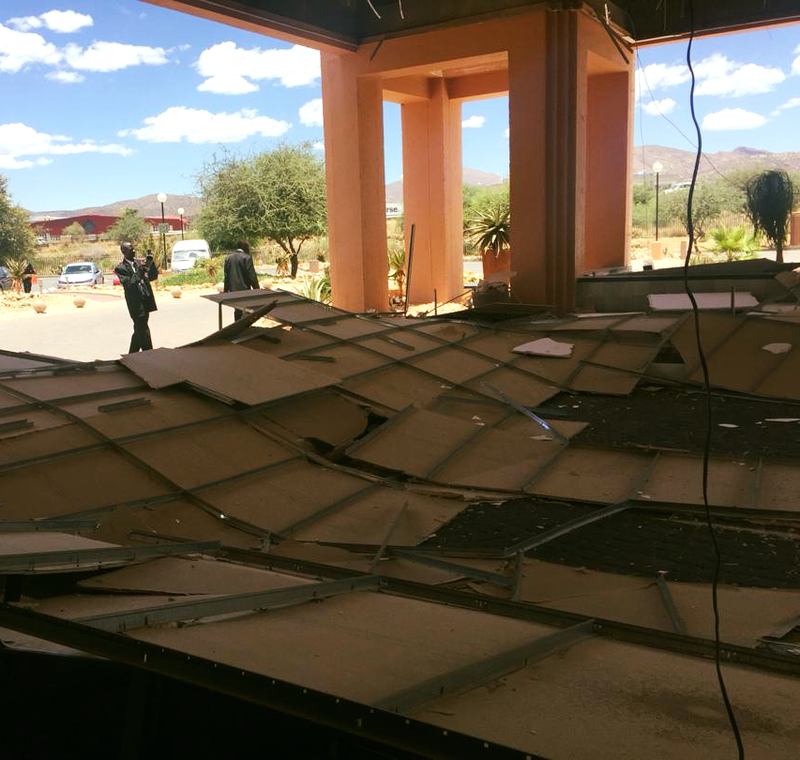 Censorship on all staff members and the isolation of the catastrophic construction failure scene at the Windhoek Country Club and Resort could not hide the fact that a strong gust of wind caused the collapse of the part of the roof structure in front of the main entrance to the establishment. A person who witnessed the potentially deadly incident that left guests and staff members stunned said the wind was blowing hard and that a strong gust caused the ceiling part of the roof structure above the VIP drop-off zone to collapse. It was confirmed that no person was injured as a result of the catastrophic structural failure of the roof.